What are the varied variety of subjects being offered by this service? A) We at British Coursework Writers are equipped with writers that can write pertaining to any subject field. Therefore, our academic assistance is rendered for a multitude of subjects, ranging from any level of complexity. Are these services that are being offered by this service affordable? A) We understand the constraints experienced by our students and hence, as a result, we have kept our price range economical. Will my work be delivered right on the set time? A) We comprehend the significance attached with deadlines. Thus, we make it a point to deliver all our work on the mentioned deadline, in order to avoid customer dissatisfaction. Will my identification details be protected? A) We are strict adherents of the Data Protection & Companies Act policy and therefore all our customers’ information will be duly protected. A) There are two mediums that can be made use of in order to make a payment, customers can either pay through PayPal or can either deposit the payment into our bank account. The details of our bank account can be acquired from our CSR. A) Our customers can easily contact our writer through our ‘live chat’ option. Can I avail any promotional offer? A) Students can utilise our discounts by visiting our website or by getting in touch with our CSR. Additionally, the amount of discount attainable depends upon the amount and length of the work. A) Our students can demand a refund if in case they receive a grade ‘F’ on a paper rendered by us or if they find more than 30% plagiarism on a paper provided by us. A) Once work is completed, we send it to your designated email in a downloadable format. A) We have specialist writers who have attained degrees from prestigious universities. Therefore, we assign tasks to writers who have in-depth knowledge regarding a particular subject matter in order to allow impeccable content to be produced. 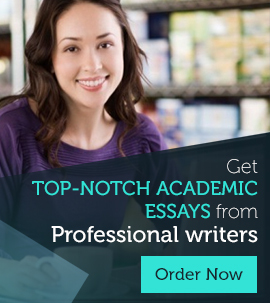 Why are we regarded as the foremost academic writing service? A) We are considered the topmost academic service, as we have always rendered quality content paired with customer-centric values. What kind of services does British Coursework Writers offer? A) We at British Coursework Writers, provide academic assistance for any coursework project that is assigned to you by your instructor.